Enjoy the magnificent views as your river cruise takes you through the picturesque wine region of the Wachau Valley. Visit the impressive Benedictine Abbey of Melk and enjoy a tasting of some of the renowned local wines. In Linz, walk around the Hauptplatz, Austria’s largest medieval square. Take a guided walk around Passau, Germany, known for its maze of narrow cobblestone streets and St. Stephen’s Cathedral-a masterpiece of baroque architecture. Guided sightseeing in Regensburg, Germany, shows you the Old Town Hall, Porta Pretoria-gates to an ancient Roman fort built in 179 AD-and mansions with high towers denoting the status and wealth of their early owners. In beautiful Prague, capital of the Czech Republic you’ll be amazed at St. Vitus Cathedral and Old Town’s Astronomical Clock. 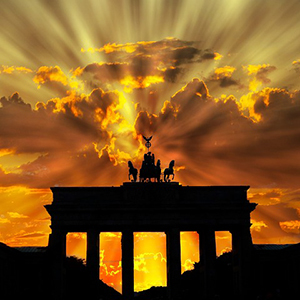 End your Danube River cruise with an added vacation with two special nights in the fascinating city of Berlin!